This is a series of layouts and child themes for Elegant Themes’s Divi, that will help you build amazing websites with ease. Be adviced: you will need an Elegant Themes subscription, wich is not included in this themes. 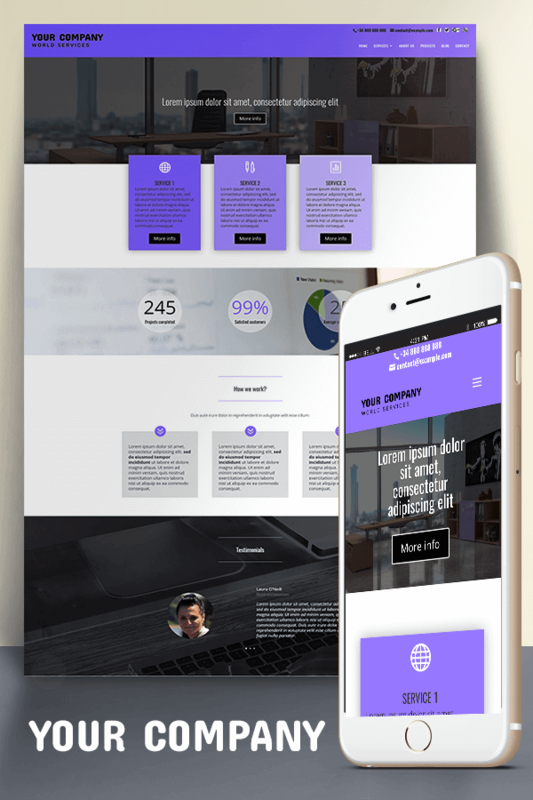 Your Company is a Divi child theme designed with the more traditional business/corporate public in mind, but still with an actual touch. Including 6 main pages and 3 different “Service” layouts, it’s fully Compatible with WordPress 4.8+ and Divi 3.0.60+, and also completely plugin-free. 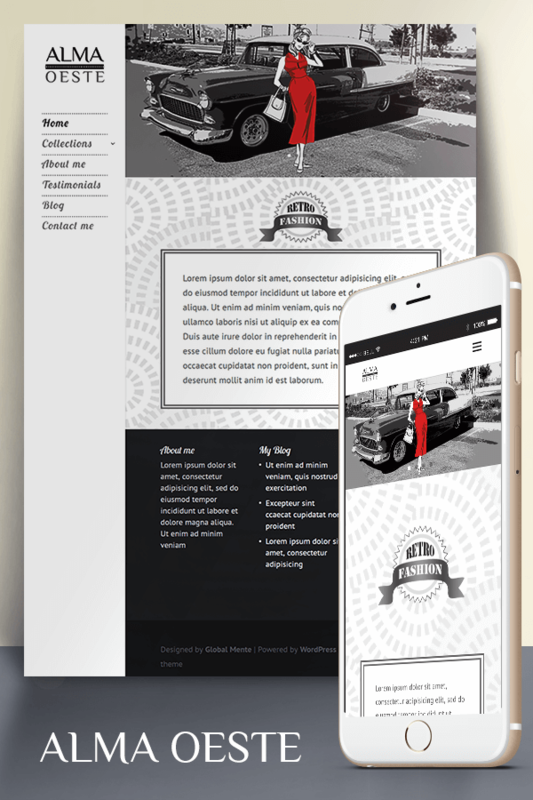 Alma Oeste is a beautifully designed vintage Divi child theme inspired by the 50s fashion. The different b/w backgrounds and multiple image gallery layouts of this fully responsive theme will help you stand out from the crowd. Alma Oeste is also completely plugin-free. 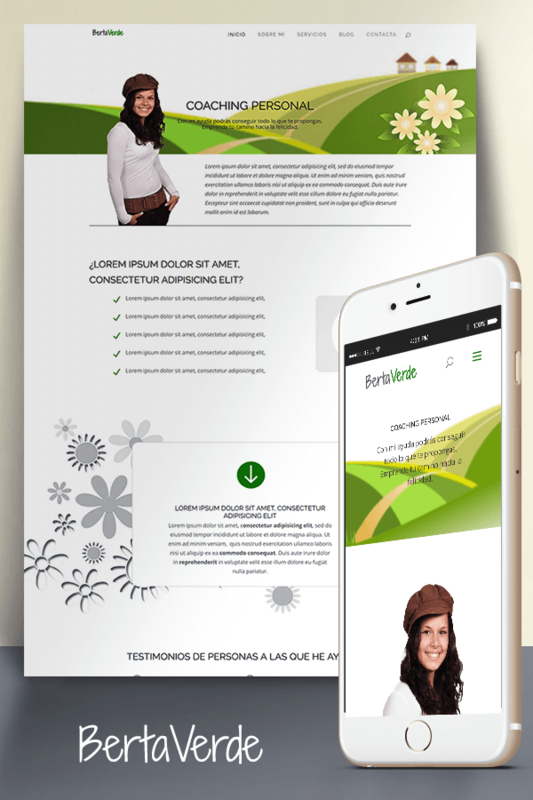 Berta Verde is a minimalist and naive Divi child theme, perfect for coaches, therapists and all those who are willing to transmit peacefulness, harmony and optimism. Designed for physiotherapy centers, spas, beauty centers and clinics but for sure it may suit other types of business. 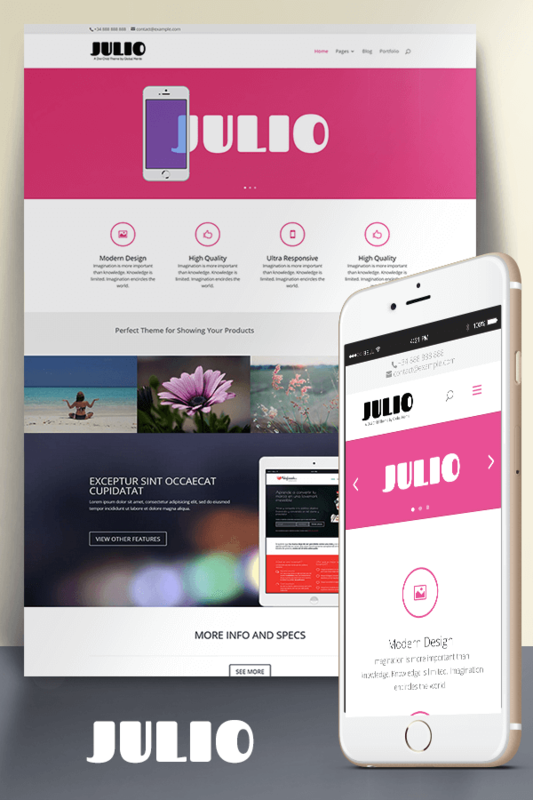 Julio is a multi-purpose theme, inspired on certain famous WordPress template and that we have published as an experiment, with CC0 license. It’s Divi 3.0+ compatible. We are a small web design studio specializing in WordPress and Divi. We offer affordable quality and build websites that help small business and entrepreneurs to grow and improve their results. © 2019 Global Mente. All rights reserved.